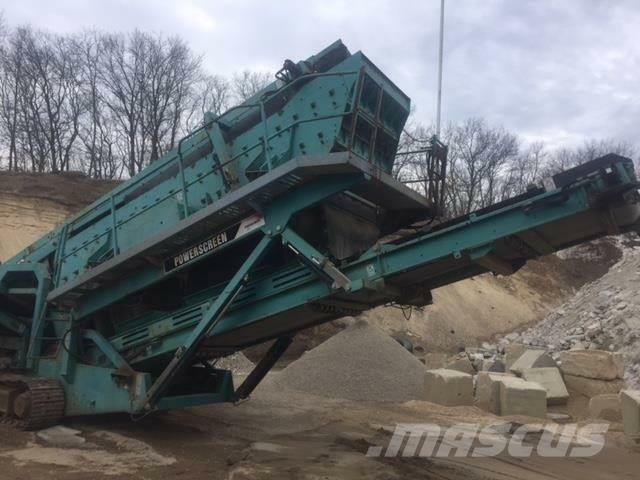 Additional Information Description: The Powerscreen Chieftain 2100 is designed for medium to large scale operators who require large volumes of high specification products. The Chieftain 2100 is the largest model to feature a high capacity hopper, belt feeder and radio controlled tipping grid. Key features include a patented hydraulically folding recirculating conveyor on the 3 deck version eliminating the need for a crane on site and a 2 bearing screen with adjustable screen amplitude and hydraulic screen angle adjustment.